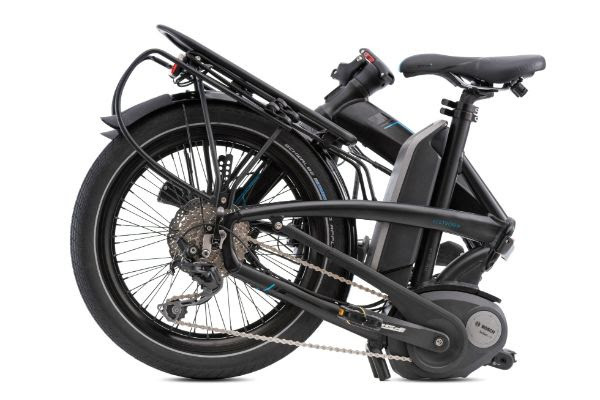 If you are in the market for an eBike, the 2018 Tern Vektron is a great option. If you were looking for a folding, electric, family bike, look no further! It is compact and can fold small enough to fit in an apartment or the trunk of a car. Features of this bike include the Bosch Performance Line motor, sturdy rack and adjustable handlebars. Also, the Tern Vektron is well equipped to carry a child seat on the rear rack. It was already a great value at $3400, now it is a steal at $2999! Tern created an electric bike that could carry a kid and then fold and fit under your desk. Wait...what? Transportation brand Tern defies gravity blending the very best in cargo, electric, folding in one excellent handling bike that literally does it all.